Emeritus Professor Wyn Grant on why Britain is heading for a hung parliament and another coalition. Professor Peter Pulzer once stated ‘Class is the basis of British politics, all else is embellishment and detail.’ Of course, there were always voters who deviated from their class affiliation. Without the votes of working class Conservatives, whether instrumental or deferential, the Conservatives would not have been as electorally successful as they were in the 20th century. There were also a smaller number of middle class Labour voters. As a generalisation, Pulzer’s comment held true in the 1950s and 1960s and even into the 1970s. It provided a basis for the two party system and for uniform swing across the nation as a whole. I recently watched a re-run of the broadcast covering the October 1974 general election and there was a neat symmetry between the national swing and the seats that changed hands. Very few deviated from the general pattern. Over time, class has eroded as a guide to voting behaviour which is not to say that someone’s economic circumstances are irrelevant to the way in which they vote. However, as class has declined as a socially relevant construct, party identification has declined as well. The number of voters that can be relied on to turn out for one of the two main parties, election after election, has declined. As society has become more fragmented, voting choices have become more fragmented. Fewer votes turn out to vote when it is no longer a means of declaring solidarity with a particular social identity. It is therefore becoming more and more difficult to win an overall majority in a general election. Tony Blair managed to do it in three successive elections by constructing a very broad appeal. However, the latest figures from Election Forecast UK suggest another hung Parliament in May 2014: Labour 301; Conservatives 270; Liberal Democrats 25; Scottish National Party 21; UKIP, 3; Plaid Cymru, 2; Other, 1 (these figures exclude Northern Ireland). The distribution of seats could change by the time of the election, but an overall majority for any one party looks unlikely. It is very likely that uniform national swing will be meaningless in the election, and regional swing won’t offer much of a guide either. A number of constituencies will see genuine four party contests and this could make results very unpredictable: there will certainly be surprises. It will be possible to win a seat with just 26 per cent of the vote and, of course, an even smaller share of the electorate. Three scenarios are possible after the election. The largest party could seek to govern on its own without any kind of agreement with another party. There would be reluctance by the opposition parties to vote for a motion of no confidence which would bring down the government and, given their fragmentation, it might be difficult to deliver a majority in favour. Even if such a result could be contrived, voters would not welcome another election so soon after the last one. The smaller parties might be the most likely to lose seats and therefore would be most cautious about provoking an electoral contest. It would also probably not resolve anything in terms of producing a clear winner. The largest party could conclude a ‘confidence and supply’ arrangement with one or more minority parties. This would not involve any offers of office, but probably some concessions on policy. The opposition party would then support the Government, or at least not oppose them, on no confidence motions and on passing the budget. A third possibility is another coalition. In practice, this is most likely to be a continuation of the existing one between the Conservatives and the Liberal Democrats. The Nationalist parties and the Northern Ireland parties would be unlikely to enter into such an arrangement. Some backbench Conservatives might favour a deal with UKIP if this provided sufficient votes, but the Conservative leadership would be opposed. Some caution is necessary about whether a deal between the Conservatives and Liberal Democrats would be possible. It would not be so easy to negotiate as in 2010. However, the Liberal Democrats would probably be prepared to accept a referendum on British membership of the EU if they got a constitutional concession such as proportional representation in local government elections and a reactivation of efforts to reform the Lords. What is less certain is whether they would have enough seats to give the Conservatives a secure majority. On the figures quoted above, the Conservatives would still be below the Labour total with the addition of the Liberal Democrats. There may also be some doubts about whether the Liberal Democrats will win even 25 seats. Their poor national figures are offset by strength in particular constituencies. However, a number of their sitting MPs are retiring and incumbency is particularly important to them. Does it matter whether there is a government that can be sustained for the lifetime of a Parliament? There is disagreement about how far the budget deficit has been reduced, but what is clear is that further cuts in public expenditure will be unavoidable whichever party is in power. The recovery has failed to boost tax revenues, particularly income taxes, sufficiently. Proposed new taxes such as a ‘mansion tax’ will make a relatively marginal difference to the totals. Hence, the Government that secures office will have to make some difficult choices, but may lack the political backing and the legitimacy to do so. 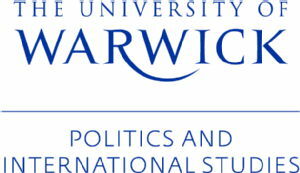 Professor Wyn Grant joined the Department of Politics and International Studies at the University of Warwick in 1971 and was chair of department from 1990 to 1997. In 2010 he was presented with the Diamond Jubilee Lifetime Achievement award by the Political Studies Association. He was elected an Academician of the Academy of Social Sciences in 2011. Wyn Grant on the next election at the Warwick Politics Reconsidered blog. Previous Previous post: Is arming opposition groups really the answer?